World Teachers’ Day is a UNESCO initiative celebrated in more than 200 countries worldwide, which aims to highlight the contribution teachers make to society. This year's slogan is ‘Teaching in Freedom, Empowering Teachers’. In honour of teachers around the world and in celebration of World Teachers’ Day, TeachingEnglish and EnglishAgenda hosted two special webinars exploring the United Nations Sustainable Development Goals (SDGs) in the language classroom, with tips and advice from experienced practitioners. We hosted a panel discussion, followed by a webinar looking at some tangible and practical ideas from one of our most recent publication ‘Integrating global issues in the creative English language classroom’. The resource book has proved to be very popular, and has already been downloaded four thousand times by teachers and teacher educators around the world. Panellists: Chrysa Papalazarou, Linda Ruas, Malu Sciamarelli and Adrian Tennant. Are the Sustainable Development Goals appropriate subjects for adults and young learners? Some teachers feel that their role is to teach language and not introduce global issues such as the SDGs into their lessons? Is that a valid point of view? What advice would you give to teachers about respecting their students’ views on the SDGs even if these differ hugely from their own beliefs and values? Are there any circumstances in which you might advise teachers not to focus on the topic of the SDGs? Read a British Council Voices blog post by Malu Sciamarelli: Should language teachers avoid global issues when teaching? In this webinar Nik Peachey shared a little of the background to the idea behind the book: Integrating global issues in the creative English language classroom and why the focus on creativity and the UN SDGs. He also shared a range of practical examples of activities from the book and looked at how you can bring the UN’s sustainable development goals into your classroom. 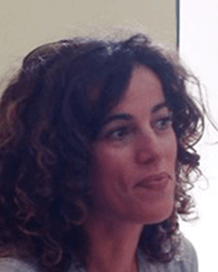 Chrysa Papalazarou is an English teacher and blogger from Greece. 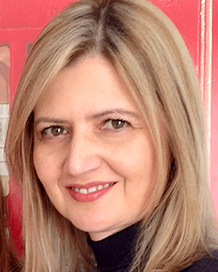 Chrysa holds a Master’s Degree in Comparative Education and Human Rights. She is also one of the contributing authors in the British Council’s first publication on Creativity in the English language classroom (eds. A. Maley & N. Peachey), and most recently 'The Image in English Language Teaching' publication (eds. K. Donaghy & D. Xerri). She has presented her teaching practice in conferences and workshops in her country and abroad. You can find out more about Chrysa's work in class by visiting her blog Art Least. 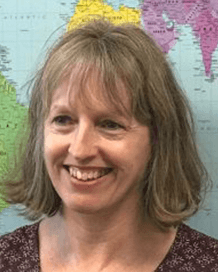 After teaching and training for many years in Brazil, Japan and other countries, Linda Ruas is now teaching ESOL and CELTA at a further education college in London. She also runs the New Internationalist Easier English wiki (eewiki.newint.org) and is Joint Coordinator of the IATEFL Global Issues Special Interest Group. Malu Sciamarelli has been working as a teacher and teacher trainer since 1993. She is a committee member of the Creativity Group and the IATEFL Literature SIG. She has published articles on creativity in ELT Journals and presented in conferences all over the world. She is one of the authors in Creativity in the English language classroom (eds. A. Maley & N. Peachey). She also writes poems and short stories for language learners and has her own website: www.malusciamarelli.weebly.com. 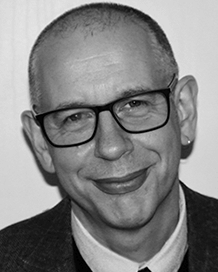 Adrian has been involved in ELT for almost 30 years and now works as a teacher trainer, writer and consultant. He has worked in many countries and contexts including in Cambodia, Jordan, China, DR Congo, Senegal, Montenegro, Turkey, Spain, Saudi Arabia, India and Ecuador. 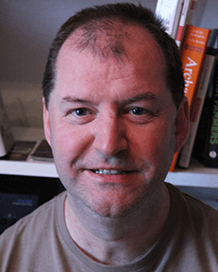 As a writer he understands the importance of content in language learning and is interested in helping students learn about the world around them. I used to think I should write a piece on the web of Teaching for Success online conference for concluding some experiences recently. But, just glancing a moment did I find it was already in the past 2016, and suddenly did I find this happy page! Then, ideas have been turned to the centre of positive power, and heart has been warmed back. I should feel happy, thanks! However, if viewing back the whole year from last September, we have really improved our abilities and practiced more ideas from education to the whole globalizing society, from western worlds to eastern worlds, in postmodernist multiple-channels. Some of we have applied our native, binary-linguistic, multiple-linguistic ideas and some good across-cultural thinking skills into our local classrooms; some of we have attempt to cultivate learners' all-around literacies of subjects through English information-seeking, individual curriculum-designs, some visualized action-plans, relatively guided practices of critical thinking and some self-disciplinary participant-observations & experiments in their own lives. Yes, I have artist paid lots of peaceful endeavours breaking some limitations channelling to the pure-land of education and peace. Without us, the tree of global civilization cannot grow up so many beautiful fruits, and some learners wouldn't get some opportunities of education, explicitly or implicitly, and for their future learns and understandable happiness from the stability of their own lives. It's also near Mooncake Festival of Eastern worlds. May it be that seeing our careers as spending a joyfulness in festival holidays wouldn't be a bad idea to relax our hearts, meanwhile, learn something new from others in life' - All-inclusively, we all wish things would be fine. Can I have a certificate after attending that webinar? There is a link at the end of the webinar to two downloadable certificates - here they are. My minds were stilly staying in this page & day, and frequently asking myself: You knew, goals were so huge. Then, how could us - teachers and teacher educators land them into our own classrooms - no matter what types, formal or informal, schooling or family-tutoring, in organizations or single... I almost got one answer, but not very clear, which I would like to share. If every small person could do so, as you and me... what a beautiful world it would be in the views of education! This thought wasn't quite clear, but would be an answer. Just one point, teachers were also human beings (not saints), their welfares need our organizations' cares and loves. Sometimes, please forgive some mistakes they would have made, or something they had already predict but not in current era or across cultures. They have been dreaming after a better world for long time; yet, they haven't need to dedicate themselves here for many years... like candles burning out themselves or their families a drop after a drop, day after day, and year after year. Let us take our Christmas cakes and forgive all! Oh, by the way, the lucky animal of 2018 is a loyal one - dog who is honest, helpful and hospitable. Hopefully, from the spring of this year, things will be going on well. Oh, by the way , following this line above, in this year 2018, watching Winter Olympic Game may give us many positive powers from hearts, which can also be added into our activities' plan. Oh, dears, thanks to your fulfilments of United Nations Sustainable Development Goals in this teaching cycle!